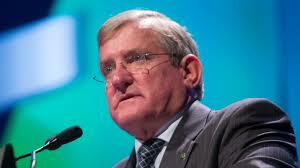 Industry minister Ian Macfarlane has announced sweeping deregulation of the vocational education and training (VET) sector with “high performing” VET providers delegated the authority to manage their own scope of registration and no longer needing the regulator’s permission to change courses or introduce new ones. In … a highly competitive environment, the best way to ensure an RTO delivers high quality training is to let it stand on its reputation – not fill out reams and reams of paperwork and jump through endless hoops. a demonstrated and documented quality assurance system in place to manage VET regulatory functions and obligations. ASQA’s regulatory role will focus on dealing with “rogue operators” and providing education and guidance to ensure “voluntary compliance” with VET standards by RTOs. ASQA will no longer transition to a full cost recovery model as had been planned and its fees will remain unchanged in 2014-15. The government also proposes to crack down on “unscrupulous or misleading behaviour by brokers who act as an intermediary between students and training providers”. As a first step, new standards to apply from 1 January 2015 will make RTOs responsible for the behaviour of any brokers subcontracted by them. This will enable ASQA will be able to take regulatory action against an RTO using a broker, if the broker is breaching these standards. At the end of the current contract period with the 12 Industry Skills Councils (ISCs), from 1 July 2015, the government will move to a more contestable model for the development and maintenance of training packages, with development put out to tender, open to ISCs and other organisations. The government will also undertake a review of training products in the VET system to ensure they are “fit for purpose”. The government is apparently considering funding of “skills sets”, as well as full qualifications.